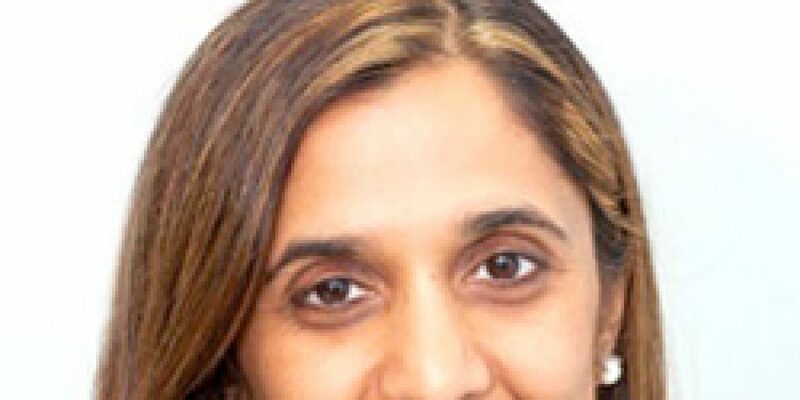 Guest Bio: Dr. Jyothi Rao, MD, ABAAHP, FAARFM, has been practicing medicine for the past 16 years. She received her Doctorate of Medicine (MD) from the University of Medicine and Dentistry of New Jersey and completed her internship and residency at the prestigious New England Medical Center (Tufts) in Boston. Before opening Shakthi Health & Wellness Center, Dr. Rao practiced medicine in New York and Maryland. She is the co-author of Finding Balance: Empower Yourself with Tools to Combat Stress and Illness. Neal Howard: Hello and welcome to Health Professional Radio. I’m your host Neal Howard, glad that you could join us on the program today. Our guest in studio is Jyothi Rao. Dr. Jyothi Rao is co-author of the book “Finding Balance: Empower Yourself with Tools to Combat Stress and Illness.” And she’s with us today to talk about combining Western Medicine with Holistic Practices in order to get the maximum when it comes to health. Welcome to the program Dr. Rao. Dr. Jyothi Rao: Thank you very much. Thanks for having me. R: So I’ve been in Internal Medicine for about 20 years now and a very quickly coming out a very quickly coming out from a rigorous residency program at Boston I’ve learned that a lot of what we do as physicians is band aid the problem. And quite frankly I was getting very dissolution about what feel he head got in to because I really felt I wasn’t healing anyone and part of it was that I was working in New York, and the pace was very fast and everyone seem to be tired and sad, gaining weight and all of these issues that really are in the back drop of tons of other symptoms that we see, so I started to do the Acupuncture. I went into Acupuncture and it my changed my life because it kind of shot taught me about healing from healing in terms of promoting rest and relaxation and reducing stress for people and my patients were responding by saying so many things that we have been working on for quite a bit of time were getting better. Part of it was my journey to try and find tools for people that were not just band aids, more about healing form within and through the last 17 years or so I’ve kind of evolved into this realm of functional medicine which is looking at how the body breaking down and not functioning properly as supposed to be the illness or symptoms someone comes in. N: You say it changed Acupuncture changed your life and you started learning about I guess true healing. Rather than abandon your traditional training, how did you find yourself in a position to speak on both of them and combining the two? R: So it was interesting because my initial practice, I was working in New York did not want me to practice Acupuncture because it was not at mainstream. They did not want us to be kind of labeled as kind of alternative or complimentary practice so I moved to Maryland and fortunately the group that I started with was very open minded about Acupuncture and it had been regaining quite a bit esteem in Maryland. And so they allowed me to actually perform it on my patients which changed again my practice because now I wasn’t just fixing people pains and dramas, they were also sleeping better, they were feeling less stress, they were actually happier. There was a whole cascade of positive affects which started from it and it kind of let me to incorporate it into my daily practice which I have done for the last 16 years. I put it with all my treatments, there’s no certain illness that benefits from it or doesn’t, I feel everyone can use Acupuncture as part of treatment for anything that they come in with, even to stay well. N: Have you found yourself of in a position to use Acupuncture, say in a conjunction with some prescription medications, specifically when talking about pain? R: Yes, absolutely. I used a whole realm of interventions and prescription medicine they’re’ still something I used regularly. But Acupuncture actually, it allows me to use less medicine which causes less side effects for people but in certain pain syndromes like fibromyalgia and rheumatoid arthritis and other pain syndromes that are very difficult sometimes to manage with traditional medication, acupuncture offers a great deal of benefit in terms of giving people some relief, not only with pain but helping them sleep and giving them more energy and all sorts of other things that we can reduce other medicines that. Sometimes we’re giving them other side effects that they have to stay on because it’s giving them some pain relief. I don’t prescribe a lot of opiates because of all the narcotic problems and all the side effects that it has so I use in severe pain syndromes Acupuncture has been very helpful to get people to not require those high level medications. So I used it as kind of adjunct with my practice, I also use herbs and supplements to kind of compliment everything else that we’re doing for them. N: You mentioned herbs and supplements. What is something that you can share with our audience as far as I guess restructuring their diet or getting a structure diet in a first place when it comes to different maladies? Is that something that you address in your practice? R: Yes, so primarily what we try to do is changed people’s diet because I believe 80% of the problem is in our diet, because the gut is such a fundamental focus for so many illnesses. So that’s one of the reasons that Monica, Dr. Aggarwal and I in this book because we were so passionate about trying to find a common theme for Cardiology versus Internal Medicine. She’s a Cardiologist, I’m an Internist but a lot of the disease start on the gut. And so when we are able to changed people diet, the addition of high value nutrients but also taking away foods that are inflammatory for people can make dramatic changes in their health but also decrease their needs for certain medication that can then cause them other side effects and illnesses. So yes, primarily we start with diet for most people that walk in the door. N: Now your book, it does talk about Empowering Yourself with Tools to Combat Stress as well as Illness. Is diet is an essential component when it comes to reducing stress in addition to laying off the some of the inflammatory foods? R: Yes, so our fundamental principle is that the stress cascade which can lead to something called Fight or Flight response. It basically makes our adrenalin pump higher, our blood pressure go up, our heart rate grow up and also to elevates our cortisol which is our stress hormone that in chronic elevation can cause multiple side effects in the sense that cause multiple breakdowns of different systems in the body that can lead to multiple medical problems. So yes, people can walk in with high blood pressure but it probably will result of some sort of stressor for the body whether that was a traumatic mental stressor, physical stressor, emotional stressor, whatever that stressor with over the years it can present in different ways for different people. We do focus a lot on stress reduction, and yes gut and the brain has been linked mostly because of we have all the bacteria on our gut that form all these nutrients and process our food in different ways and actually communicate to our brain by raising certain transmitters that help us feel happy or sad or pain. So yes we work on the gut so that we can affect the gut bugs which then affect many, many parts of things that go on with our body. N: In your book “Finding Balance: Empower Yourself with Tools to Combat Stress and Illness,” the book clears up some myths, some of these myths being very common. For instance I grew up knowing beyond any shadow of the doubt that drinking drink will help to help my bones. Is that something that is a fact or is it maybe a suggestion and some other things as well? What are the most misconceptions or maybe a couple good ones that your book dispels for all those myths? R: Yes, so there has been a lot of data coming out on cow’s milk and dairy in general which are basically from cow’s milk. That in cheese and in yogurts and somewhat less in yogurts, but in cheese and in milk itself can be quite inflammatory causing inflammation for most people that drink it or consumed it because it affects the gut bugs, the bacteria but it also can cause things like a leaky gut for patients as well as the sugars in there can be inflammatory for patients and that the protein in the cow’s milk can cause multiple reactions, immune reaction if your that can actually be quite detrimental to patients. So it’s unique to populations in general, there are certain sub-sets of populations that actually do much worse but in general we have found that the data that’s coming out is becoming more and more plants based, meaning staying away from animal products can actually be healthier options for preventing inflammation which is we feel is the source of a lot of chronic illness. And there has been recent studies that show that actually drinking milk does not prevent fractures. And so it’s not so much the calcium in the milk which everyone which obsesses about, it’s more other nutrients that bones need like vitamin D, and boron and Vitamin K which are very, very important. And they’re not really found in milk, so Vitamin D is fortified in milk but it’s not found in milk, it’s fortified. Now you can have other options that are not cow’s milk such as almond milk that is fortified with Vitamin D. So ono one is saying that Vitamin D is not good for bones, but we’re saying that calcium per say, first of all is important for bones but milk is detrimental. If you can get other sources of those calcium from say green leafy vegetables and seeds and other ways that are fortified with calcium, you are a better off for your body to not have that inflammation coming in dairy and still supporting your bones through looking at foods that are high in calcium and Vitamin D and Vitamin K and these kind of things. 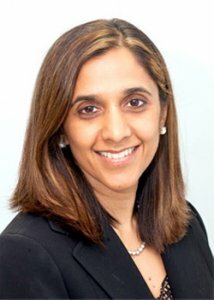 That’s a big one that’s really been very eye opening to myself because Monica, Dr. Aggarwal actually had rheumatoid arthritis not with her journey into this whole evolution of kind of doing integrative medicine and she found that for her that the dairy was a huge culprit in creating joint pains and inflammation for herself. And that she became Vegan, the resolution of her symptoms to follow and so there’s doing some studies and research on. All of this kind backs up the idea that dairy can actually be detrimental for causing inflammation for many of us. R: Yes, we have it on our individual websites, mine is called Shakti Health and Wellness Center and we our available on Amazon as well as Barnes and Noble. N: Great. It’s been a pleasure speaking with you today Doctor. N: Thank you. Transcripts and audio of this program are available at healthprofessionalradio.com.au and also at hpr.fm. And you can subscribe to this podcast on iTunes.